Retriever Consulting provides best-in-class solutions at an affordable cost in a highly available environment. Our solutions are provided as a managed service, allowing you to operationalize the cost of your computing in a predictable manner. Perhaps most importantly, our solutions allow you to innovate at a pace and scale that is transformative. Our Managed DevOps solution allows you to achieve better software delivery, deployment, and management while reducing time, cost, and risk. Managed DevOps orchestrates and automates the deployment of applications databases, and configurations in deployment, test, and production environments. By the use of software defined environments, Managed DevOps captures infrastructure as a software artifact to be managed and simplifies the entire application lifecycle. Managed DevOps provides you access control, an audit trail and system of reference for increased reliability and more effective governance. Orchestration is of snapshots and not components and tests are run automatically. 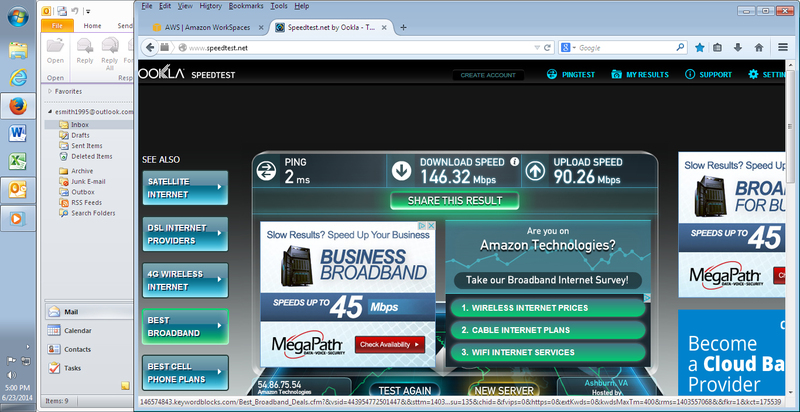 When tests succeed builds in Managed DevOps auto-promote and builds that are approved are automatically progressed. Managed DevOps enables you to access the appropriate tools based on your role and responsibilities, and all work off the same source code repository and continuous integration system. A key aspect of Managed DevOps is the replication of production environments in development and test. This is done to enable accurate performance testing, empower developers to experiment, facilitate production debugging, and improve overall code quality. It is accomplished by adopting an “Infrastructure as Code” strategy that defines and manages infrastructure as a software artifact. Managed DevOps leverages AWS APIs to facilitate the creation of infrastructure as software artifacts. Managed DevOps also uses the Amazon Relational Database Service (RDS) and point-in-time snapshots to version control these infrastructure artifacts. Agile development encourages optimizing for rapid response to change, high degrees of technical discipline, and ruthless automation in the development lifecycle. The key agile concepts that Managed DevOps puts into practice are continuous integration, infrastructure as code, and continuous delivery. 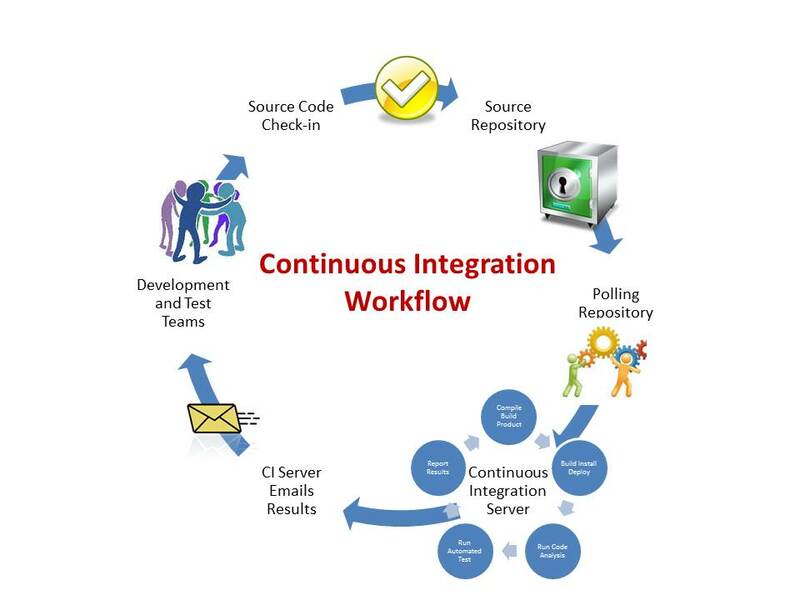 Continuous Integration is a software development practice where members of a team integrate their work frequently; usually each person integrates at least daily - leading to multiple integrations per day. Each integration is verified by an automated build (including test) to detect integration errors as quickly as possible. Managed DevOps enables continuous integration (CI) through the use of source control, a CI server, and automated evaluation of quality. Infrastructure as Code is the bundling of infrastructure components into software defined elements that become a piece of the release bundle that is managed through continuous integration and continuous delivery. Managed DevOps uses programmatic provisioning by AWS APIs to create your infrastructure as code. Continuous Delivery is when you build software (and related infrastructure as code) so that it can be released to the build process at any time. Test, support, development and operations work together as one delivery team to streamline the build, test, and release process. Managed DevOps provides you the mechanisms to perform continuous delivery through the use of a CI lifecycle and CI server, source control, and automated testing. Start your cloud usage off with confidence through GovIDXchange’s secure virtual private network access to the ITAR compliant FedRAMP certified Amazon Web Services GovCloud (US) Region. We provide trusted, logged and secure access to cloud resources and enable you to extend your continuous monitoring to the cloud.By using GovIDXchange your users have PIV Card enable single sign-on access to the environment and running applications and services in AWS GovCloud (US) Region. All user actions are logged and recorded. Violations are alarmed and appropriate responses can be automated. GovIDXchange provides administrator and privileged user auditing and management as well as application-to-application password management. GovIDXchange is a managed identity-as-a-service offering for the AWS GovCloud (US) Region cloud platform providing Administrator and Privileged Identity Management and Application-to-Application Password Management. Additionally, GovIDXchange can provide access to other services running in the AWS GovCloud (US) Region as an identity federation hub. Administrator and privileged identity management supports and enforces the policies and controls needed to mitigate risks created by privileged users, those with elevated rights and access to administrative accounts, credentials, and systems. GovIDXchange allows you to control, monitor and audit privileged users, ensuring they can access only explicitly authorized resources, including the AWS Management Console. GovIDXchange records privileged sessions so you know exactly what happens during each session—and you can prove it to your auditor. Passwords in applications and scripts are a frequently overlooked security exposure that poses potentially severe risks to government agencies. GovIDXchange allows agencies to protect these “keys to the kingdom” in ways that are appropriate for addressing the risk they pose. Application-to-application passwords and other credentials are stored in an encrypted vault and released by leveraging APIs to authenticate requestors. Federation of identities is a key goal of the US Government CIO Council Identity, Credential, and Access Management (ICAM) initiative. GovIDXchange can be a federation hub between different AWS GovCloud (US) Region entities, allowing for federated single sign-on. GovIDXchange supports open standards and protocols for authentication, including Microsoft Active Directory, LDAP, O-Auth, and SAML. Managed Amazon WorkSpaces offers you an easy way to provide a fully managed, cloud-based desktop experience to your end-users. You don’t have to worry about procuring or deploying hardware or installing complex software to deliver a desktop experience to your users. Managed Amazon WorkSpaces integrates with your organization’s Active Directory so that your end users can continue to use their existing credentials to access corporate resources. This integration also means that the WorkSpaces we launch will join your Active Directory, so that we can manage them with the same tools that would be used to manage any other desktop in your organization. We can perform various administrative tasks such as deploying software, applying Group Policies or other management tasks just as you would with any other desktop in your Active Directory domain. We can also create new cloud-based resources for file storage and desktop management. Managed Amazon WorkSpaces takes care of all the heavy lifting of managing hardware and software, and tasks such as patching and maintenance, enabling you to deliver a high quality desktop experience to your users. Managed Amazon WorkSpaces delivers a high quality desktop experience to your end-users as well as help meet compliance and security policy requirements. When users are using Amazon WorkSpaces, your organization’s data is not sent to or stored on end-user devices. We manage your users’ WorkSpaces to specify configuration options that control the desktop, including those that restrict users’ abilities to use local storage on their devices. Customers who want to provide a secure managed desktop environment to meet compliance requirements are ideally served by Managed Amazon WorkSpaces. Users who wish to access their desktops from mobile devices find Managed Amazon WorkSpaces provides them with access to their desktop when they need it, on the device of their choice.